In a lot of ways, this news makes perfect sense. When Chris Brown was released from jail, the first question that his fans asked after they partied on his behalf was when he was going to start working on his next album. And, all things considered, Chris Brown is not a man who is known for his great life choices. Really, the fact that Chris Brown and Justin Bieber are working on a song together shouldn't even cause you to lift an eyebrow. Justin Bieber's not known for his fabulous life choices either. Bieber revealed the news over the weekend when he posted two pictures of himself and Brown in the studio to his Instagram. The first picture was a group shot simply captioned "studio" while the second picture was a solo shot of Brown and Bieber captioned "Studio, me and CB did 1 for the fans." It makes perfect sense that both Brown and Bieber would want to send a song out to their fans. After all, their fans are the people who have been supporting them no matter what stupid things they decide to do on a week-to-week basis. 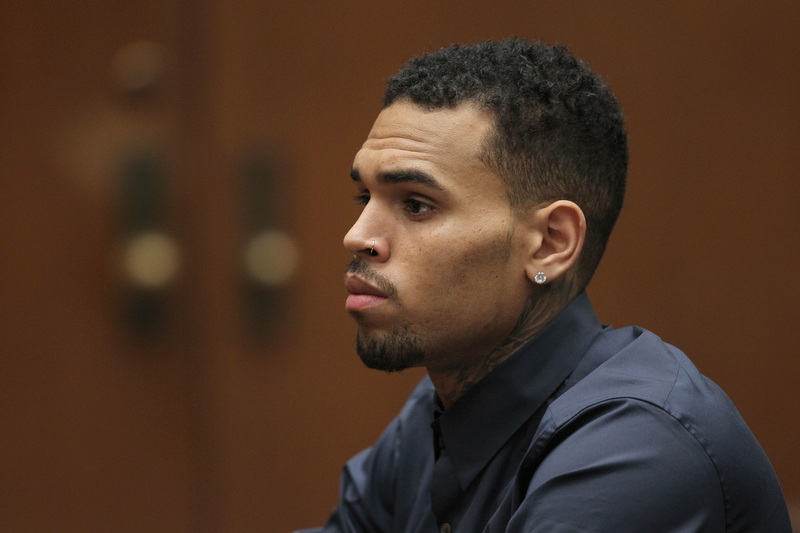 Team Breezy stuck by Brown through his assault trial and his second assault trial and his probationary hearing. Beliebers stuck with Bieber through... well, the list there is getting pretty endless. Brown and Bieber have such similar career tracks as well, both being promising young men who suddenly took a dark left turn into their current "bad boy" personas. Sure, Brown has yet to make it into the top ten list of Most Hated Men in America, but, hey, give it time. Besides, it's not the first time that the two of them have worked on a song together. It's just interesting that Brown decided to step out of jail and walk straight into a studio with Justin Bieber — the man who is only slightly less hated than O.J. Simpson. Then again, Team Breezy and the Beliebers are clearly some of the most diehard fans in the world considering how much they've gotten through (or simply ignored) in order to keep idolizing their idols. This news is sure to cause nothing but rejoicing and probably several Twitter trends, especially when the song itself actually comes out. And, if nothing else, it's good to see Brown returning to focusing on the music and continuing to keep himself out of trouble for now.